Renowned UC Santa Cruz astronomer Sandra Faber will give a free public lecture on astronomy and cosmology on Wednesday, February 5, at 7:30 p.m. in the Music Recital Hall on the UCSC campus. Faber's talk on "Cosmic Knowledge and the Long-term Strategy of the Human Race" is the 2014 Stanley Flatté Memorial Lecture, presented by the UCSC Department of Physics. Modern astronomy has succeeded remarkably well in explaining the origin of the human race in cosmic terms: how the galaxy was formed, how the sun and Earth were formed, even where the chemical elements that comprise our bodies and our planet came from. We can now use that understanding to predict our cosmic future, and Faber will argue that human beings have been given the most precious gift of all: billions of years of cosmic time. But how will we use this gift? Absorbing the lessons of cosmology is central to answering this challenge. Faber, a University Professor of astronomy and astrophysics at UCSC and interim director of UC Observatories, is known for her pioneering research on the formation and evolution of galaxies, distant galaxy clusters, and the large-scale structure of the universe. She is also a leading authority on telescopes and astronomical instrumentation and has been closely involved with both the Hubble Space Telescope and the W. M. Keck Observatory in Hawaii. 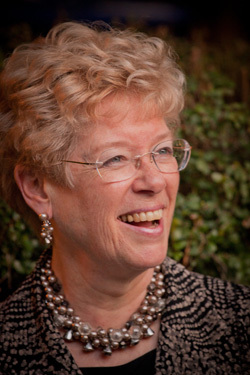 Faber has received many awards and honors for her achievements, and in 2013 she was honored by President Obama with the National Medal of Science. The Stanley M. Flatté Memorial Lecture Fund supports an annual public lecture by a distinguished scientist from one of the many fields influenced by the late Stanley Flatté, who was a professor of physics at UCSC. Flatté's work on wave propagation led to important contributions in the fields of atmospheric optics, ocean acoustics, and seismology. He also made significant contributions to basic research in particle physics. For more information about this event, call (831) 459-4121.